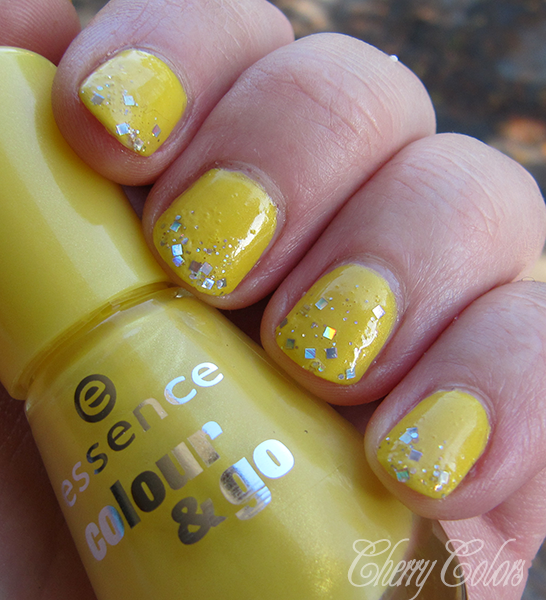 Essence I wanna be your sunshine - Cherry Colors - Cosmetics Heaven! 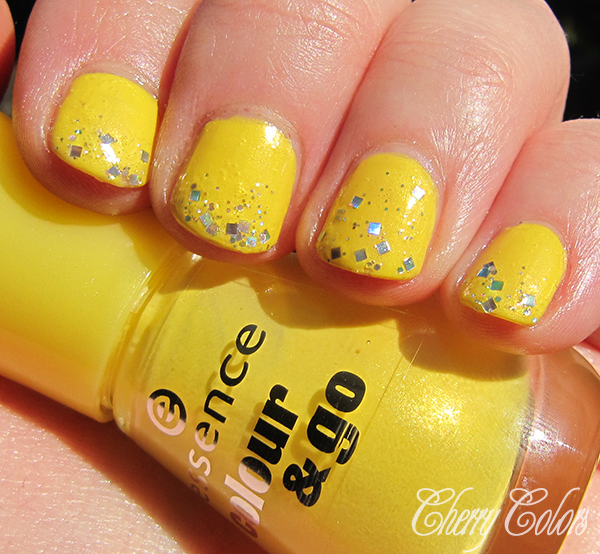 I got this lovely yellow shade from Essence and while I had nothing to do at night (and didn't want to go to sleep) I decided to use it in a manicure. I did my nails in a dim lighted room, so excuse the kind of messy look. But it does look fresh and very not Autumn-ish at all. It brings a smile to my lips whenever I look at my lovely manicure. 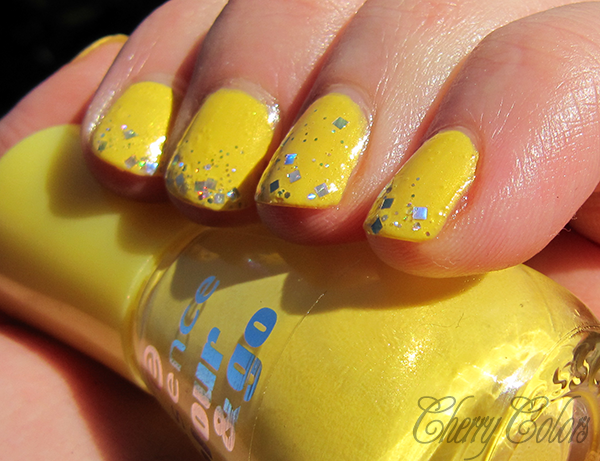 I used the essence harder nails base coat (because I managed to peel a bit of my nail layer, auch!) 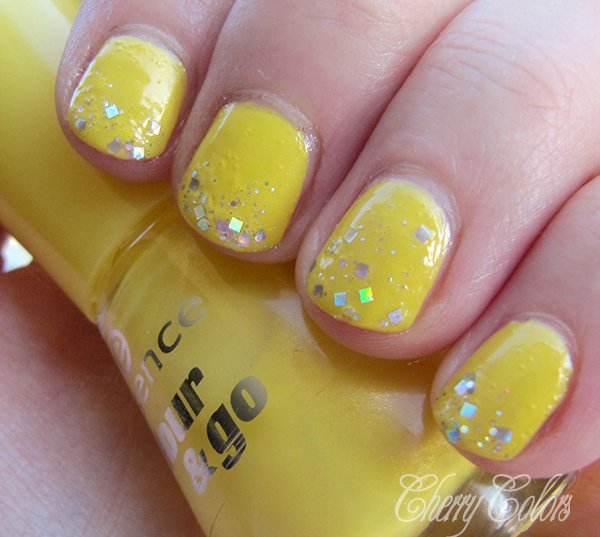 and over it two layers of Essence I wanna be your sunshine and a layer of Essence Shiny star (glitter holo). Plus of course a layer of the hyped Essence top coat. And when it was time to let it dry, I remembered why I love the gel manicures so much. Quick drying time, really. And long lasting shine! 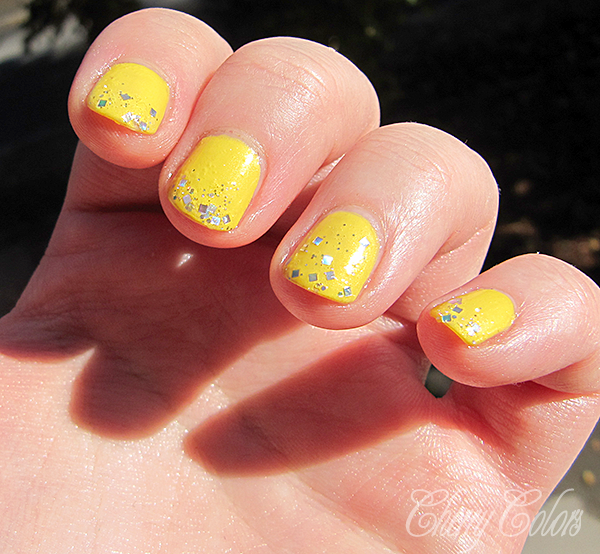 I hope this manicure reminded you of the lovely sun during Summer :).